If kitchen gadgets could be best friends this strawberry huller and the strawberry slicer I talked about in this post would be just that. They double as two amazing kitchen gadgets to have if you love strawberries. 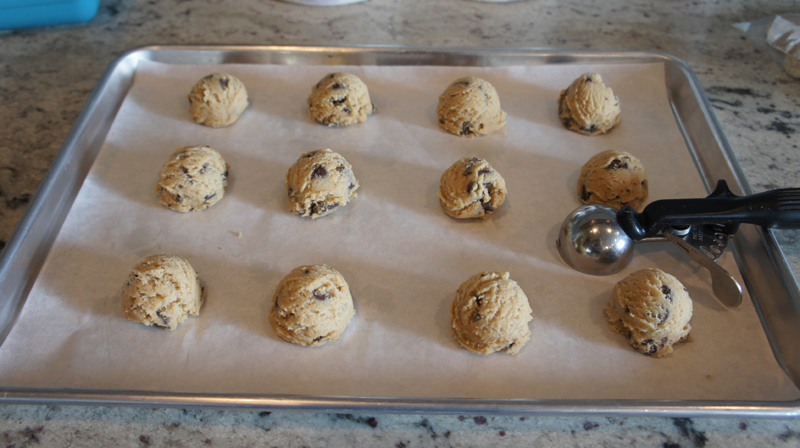 Seriously they will make your life so much easier! If we are giving awards to strawberry gadgets the winner of the best strawberry huller goes to this beauty you see pictured in this post. This baby is amazing at removing those strawberry stems with out cutting off half your strawberry (see pictures below). I’ll admit I was skeptical of this little guy at first, I thought, how can it really be faster than a knife, and how does it really work just getting the stem and not the strawberry but much to my amazement after I tried this thing out for the first time (thanks to my sister in law Pam) It worked like a charm, for real, it is awesome, go read the review’s on Amazon if you don’t believe me, I love it and totally recommend it. Here’s the link to where you can buy it, it’s pretty cheap there and I honestly have never seen it anywhere else but I bet specialty kitchen stores might have it. The other bonus is it is really small, so it’s not a huge gadget to store. My family and I obviously love strawberries and I make a ton of strawberry jam (see my post) every year so these little gadgets will come in handy for sure. This Strawberry Slicer is amazing, well in all honesty I can’t speak first hand about this, normally I would NEVER post about something I haven’t tried and loved myself but because my dear sweet mom (who I adore, seriously one of my very best friends) has this slicer and LOVES it I decided it was post worthy. My mom bought me one for my birthday (along with my sister and sister in laws) so I can’t buy one for myself now (but my birthday isn’t until August) and I am dying to try it. my mom said my sister in law (who’s birthday was in February) is loving her’s and she’s using it to slice way more things than just strawberries, like olives and mushrooms and my mom said it would be great for slicing other fruits like peaches (you would have to cut them down a little), I think this is an awesome little kitchen gadget that is worth a little room in the drawer (I am picky about what kitchen gadgets are drawer or shelf worthy at my house), I hate having useless kitchen gadgets laying around not doing much, but I think this one earns it’s keep. 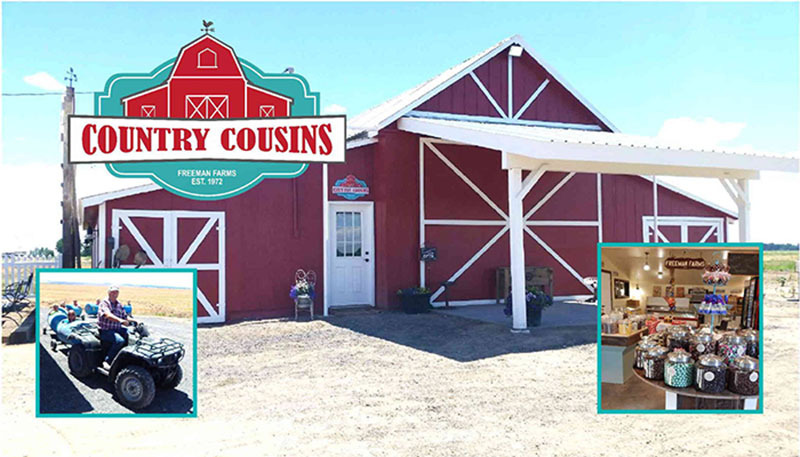 My mom and Dad along with a couple of my siblings own this amazing store/fruit stand in Washington called the Country Cousins (see the picture at the bottom of the post), their vision was to provide opportunities for their grand kids, a place for them to work and earn money for missions and college. Okay back to the slicer, sorry for the sidetrack the Country Cousins is just a darling little place so it’s sidetrack worthy. My mom found this little slicer at a kitchen store one her way to my house of all places and she bought it and fell in love with it, she said its amazing and slices strawberries in no time. 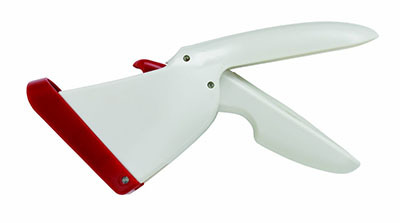 I mentioned Country Cousins because they are looking into selling this little gadget in their store, it is that good. Because she liked is so much I ordered one for my sister in law Pam for her birthday and she has been ranting and raving about it as well, she’s used it for sliced strawberries for a dessert, on top of waffles, and to make homemade strawberry jam so it’s a handy little guy. It gets great reviews on Amazon as well so it must be amazing. I am dying to try mine out and think I’ll beg my mom to give me mine early. It’s strawberry season folks and almost mother’s day and if your like me you’d love something like this so here’s the link where you can buy it. If you order this I would love to hear how you like it.